Flight Data Results from Ethiopia 302 and the MCAS System - Smoking Gun or False Lead? 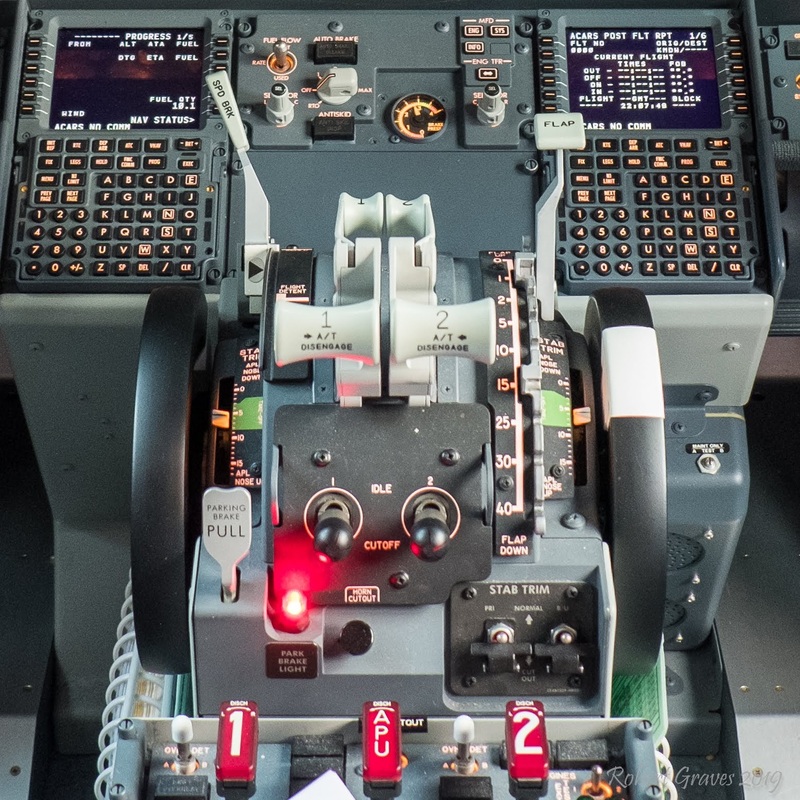 737 MAX throttle quadrant showing trim wheel and stab trim cutout switches (lower right). 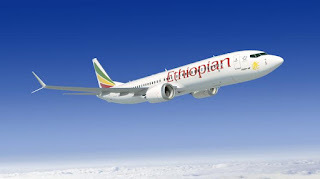 The Wall Street Journal is reporting that, after preliminary analysis of flight data from the downed Ethiopian 737 (ET302), investigators now believe the controversial Maneuvering Characteristics Augmentation System (MCAS) activated and may have played a part in the accident. This finding is significant because the MCAS system has now been implicated in both this crash and the Lion Air crash which occurred last year. MCAS - What is It? 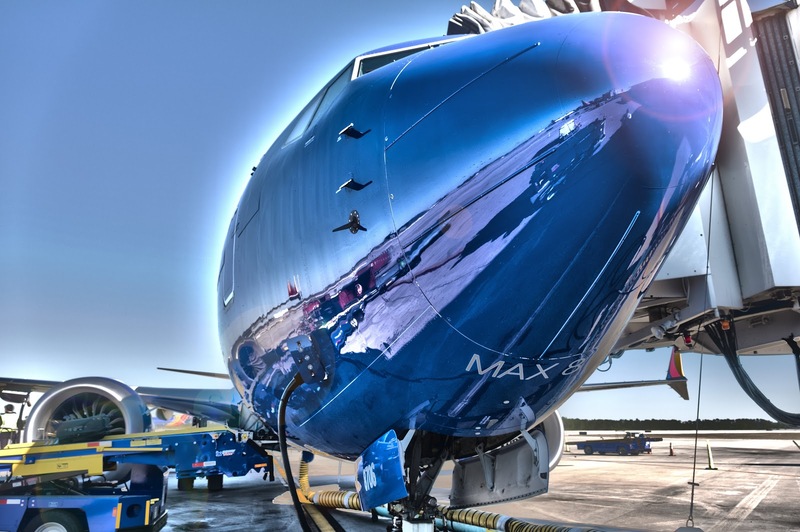 To recap, the MCAS system was installed on the 737 Max aircraft to mitigate some unique handling characteristics of the new model which differed from older 737s. Boeing originally chose not to document this new system in the aircraft flight manual, but has since briefed all Max operators on the existence and function of the system in the aftermath of the Lion Air crash. Among the reasons Boeing engineers may have had for not including the system in the flight manual are that the system was only supposed to ever activate during aerodynamic stall conditions in manually controlled flight, which in normal operations would never be seen. Entire careers are flown without ever seeing an actual stall, so this rationale might have been thought sound. The problem for the MCAS system wasn't necessarily its intended operation, which was to be rarely if ever seen, but rather any potential failure modes. Unintended activation of the system due to a mechanical fault has now been suggested as a factor in both Max crashes. Flight data from the Lion Air crash show the pilots repeatedly fighting the inputs from a misfiring MCAS system, and according to latest reports, the MCAS system also activated on the mishap Ethiopian airliner. Adding to the controversy of the existence of an undocumented system is the revelation that the system can be activated by a single angle of attack (AOA) sensor. Angle of attack sensors measure the angle of the relative wind over the wings. Too great of an angle between the wing and the airflow over it will result in an aerodynamic stall wherein the wing stops producing lift. The questions being asked involve the engineering decision to use the input of a single AOA sensor to trigger the MCAS system to operate. There are two (or more) AOA sensors installed on all airliners which among other things are used to provide "stick shaker" stall warning to pilots if they get too slow or approach a stall. Again, a stall is something that most airline pilots will never see outside of a training simulator where stall recovery is practiced routinely. What Did the ET302 Pilots Know about the MCAS System? The Indonesian National Transportation Safety Committee has indicated that Lion Air flight 610 experienced erroneous AOA data. Boeing would like to call attention to an AOA failure condition that can occur during manual flight only. This bulletin directs flight crews to existing procedures to address this condition. In the event of erroneous AOA data, the pitch trim system can trim the stabilizer nose down in increments lasting up to 10 seconds. The nose down stabilizer trim movement can be stopped and reversed with the use of the electric stabilizer trim switches but may restart 5 seconds after the electric stabilizer trim switches are released. Repetitive cycles of uncommanded nose down stabilizer continue to occur unless the stabilizer trim system is deactivated through use of both STAB TRIM CUTOUT switches in accordance with the existing procedures in the Runaway Stabilizer NNC. It is possible for the stabilizer to reach the nose down limit unless the system inputs are counteracted completely by pilot trim inputs and both STAB TRIM CUTOUT switches are moved to CUTOUT. - Continuous or intermittent stick shaker on the affected side only. - Minimum speed bar (red and black) on the affected side only. - Increasing nose down control forces. - Inability to engage autopilot. - Automatic disengagement of autopilot. - FEEL DIFF PRESS light. In the event an uncommanded nose down stabilizer trim is experienced on the 737 - 8 / - 9, in conjunction with one or more of the above indications or effects, do the Runaway Stabilizer NNC ensuring that the STAB TRIM CUTOUT switches are set to CUTOUT and stay in the CUTOUT position for the remainder of the flight. A subsequent Emergency Airworthiness Directive (EAD) directed this information to be included in the flight manual of all Max aircraft within three days. In my view, it is reasonable to assume that the ET302 pilots were well aware of the MCAS system, its possible failure mode due to an erroneous AOA sensor, and the steps to be taken to remedy the malfunction. Why Didn't They Just Turn it Off? The investigation of the Lion Air crash has revealed that on the flight immediately preceding the mishap flight, an off-duty 737 qualified pilot was occupying the jumpseat. That aircraft also suffered the same malfunction of the AOA sensor resulting in uncommanded nose down trim. On that flight, however, the guest pilot recommended that the operating pilots use the stabilizer trim cutout switches, which they did. That flight landed uneventfully. The pilots on the subsequent Lion Air flight fought against the nose down trim commands continually, but never did deactivate the electric stabilizer trim with the cutout switches. The errant automated trim commands eventually trimmed the aircraft into an unflyable condition. It would seem easy to Monday morning QB the actions of the Lion Air mishap pilots, but it must be remembered that there were many other things happening at the same time. One important thing to note is that the stick shaker activated right at liftoff and continued for the entire flight. The stick shaker is a device that literally vibrates the control yoke when an aircraft approaches an actual stall. It is loud and disconcerting when activated. The pilots were no doubt startled and distracted. Another point to note is that the MCAS inputs would not "present" like a traditional runaway trim situation. Typically, a runaway trim malfunction in a simulator would simulate a stuck switch where the trim wheel would run continuously in one direction. During the mishap Lion flight, the flight data recorder showed the pilot actively trimming back against the MCAS inputs followed by a few seconds delay when the MCAS system would reactivate and start trimming forward again. Another system called "speed trim" installed on earlier and subsequent 737 models can also run the electric trim with the autopilot disengaged, so it is not completely unusual to see the trim wheel spinning by itself with the autopilot off. This "negative training" may have contributed to the pilots not focusing on the uncommanded movement of the trim wheel even though speed trim only functions with flaps extended while the MCAS system only functions with the flaps retracted. What Happened Then on ET302? The flight data recorder and cockpit voice recorders from ET302 have been recovered and sent to France where they were downloaded and decoded by the BEA, the French equivalent of the NTSB. The data from the recorders have not been released to the public, however investigators have an "emerging consensus" that the MCAS system activated and contributed to the accident. The story also noted that this preliminary finding is subject to revision. The pilots of ET302, however, had something that the Lion pilots did not, and that is a detailed description and knowledge of the MCAS system and the procedure to disable it by throwing two easily reached switches. Without more information from the accident investigation, it is simply too early to reach any definitive conclusions about the fate of that airliner. What's Next for the Max? As an aviation blogger, the past few days have been simultaneously hope inspiring and depressing. Hope inspiring as many people understand, or make a good faith attempt to understand, the underlying issues surrounding the 737 Max. But also depressing as random fanbois, trolls, and low information, yet self proclaimed experts, happen by my comments section to disgorge their dubious wisdom on things about which they know little or nothing. One commenter offered, based on no information other than two 737s had crashed, that all of them should be grounded. I pointed out that by that logic, it would be even more beneficial to ground all airplanes everywhere as it would be safer still. The response was "I didn't say all airplanes should be grounded" displaying an ironclad grip on logical fallacies. When I noted that the MCAS system could be completely deactivated using two switches mounted on the center console, a commenter replied that well, "maybe the switches reconnected themselves". Other than the testing of those switches being a mandatory preflight item, this commenter has obviously confused the Boeing 737 with the SkyNet model T-1000 Terminator which can rewire itself automatically. So the FAA bowed to international and media pressure and grounded all Max aircraft, which is proving to be a minor inconvenience to most operators of the aircraft. I was personally walking out to a Max to fly to Phoenix when the announcement came. Someone somewhere had done some preparations and an -800 was towed to the gate by maintenance about 10 minutes later for a slightly delayed departure. We of course are now treated to the circular logic of all the "I told you so" stories. The process starts as media sensationalism whips up a gullible and credulous public followed by outraged calls for the aircraft to be grounded. After weather-vaning politicians cave into public pressure, preening media talking heads then get to state that something must have been really been wrong. And so it goes. Make no mistake: this grounding has more to do with public relations and marketing than safety. As of yet, there is very little evidence that the two Max crashes are in any way related other than the most superficial of circumstances. But the tsunami of media scare stories and sensationalism showed no signs of abatement, so this was the correct decision. The FAA cited "newly" discovered satellite data which finally swayed their decision.They are referring to the ADS-B tracking system which relays flight parameters to air traffic control through satellite. This information, however, was publicly available shortly after the crash and it does show some minor altitude excursions, though nothing is conclusive. The cockpit voice recorder and flight data recorder from the Ethiopian crash have been recovered and sent to France for analysis. Again, prescient commenters noted that this was a good thing because, of course, had they been sent to the US, American investigators would falsify any result finding the US producer of the aircraft at fault. I actually agree with this decision in spite of the slander against the integrity of the NTSB and other US investigators. Having French investigators analyze the data will deflect the inevitable cries of bias should the investigation find fault in anything except the aircraft itself. What happens next is we wait for the data from ET302 to be downloaded and released. When that happens and a likely cause of the accident can be discerned, the Max will be cleared to fly. Notice that I didn't say that this clearance will in any way be dependent on the outcome of the investigation. The aircraft will be flying again in a matter of weeks regardless of the findings. Why you ask? Should the MCAS system be implicated in this crash (unlikely in my opinion), there will be software fixes and training updates offered. As I've noted many times, the system can be deactivated completely through the use of two center console mounted switches. Even then, the system should only activate in the case of gross pilot negligence resulting in an aerodynamic stall or, as in the case of the Lion crash, an errant sensor input due to a mechanical malfunction. The software fixes will preclude the activation of the system due to the failure of a single sensor. The training updates will reemphasize to all operators that undesirable electric trim inputs can be inhibited through the use of the center console mounted stab cutout switches. Should the MCAS system not be implicated in the ET302 crash, the Max will be back in the air that much sooner. Make no mistake, all airline crashes are tragedies of the highest order for everyone involved. The object of any investigation is to find out what happened and to take measures to prevent any future recurrence. Commercial aviation is one of the safest, if not the safest means of transportation available. What will be left is a mopping up by the lawyers. Captain Rob Graves is a veteran airline pilot and retired Air Force officer. He currently flies a Boeing 737 for a major American airline where he has over 25 years of experience. 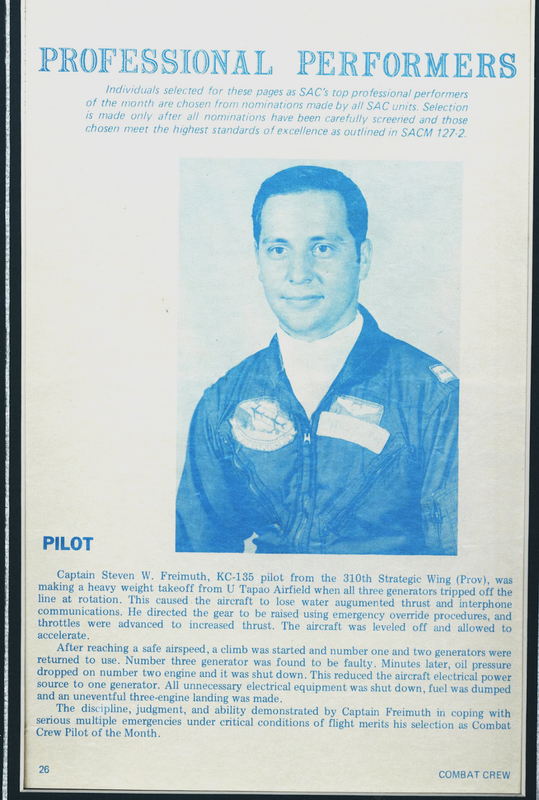 His Air Force career included instructing future USAF pilots in the T-37 primary jet trainer, aerial refueling in the KC-135 Stratotanker, and conducting worldwide logistics in the C-5 Galaxy cargo aircraft. He is the author of This is Your Captain Speaking, an aviation blog. It can be found at robertgraves.com. He also writes for Avgeekery.com. This past Sunday, an Ethiopian Boeing 737 Max 8 aircraft crashed shortly after takeoff from Addis Ababa to Nairobi with 157 passengers and crew. There were no survivors. This is the second crash of a Max 8 variant of the 737 in five months after the crash of a Lion Air Max 8 last October. An undocumented system was brought under scrutiny in the Lion Air crash and now questions are being raised as to whether this same system, known as maneuvering characteristics augmentation system (MCAS), might have played a roll in this latest crash. If that is found to be the case, the safety of the aircraft itself will be called into question. At the current time, the cause of both accidents is unknown as the accident investigation is still underway on the Lion Air crash and the Ethiopian Air crash investigation is just getting under way. The flight data recorders and cockpit voice recorders have been recovered from both accidents and are being analyzed. The flight recorder data from the Lion Air crash suggests that the pilots were having control difficulty due to erroneous inputs from the aircraft's MCAS system which itself received faulty inputs from a malfunctioning angle of attack (AOA) sensor. It is this errant sensor and its maintenance history that investigators are focusing on. Initial reports from the Ethiopian Air crash suggest that the aircraft experienced control difficulties shortly after takeoff. 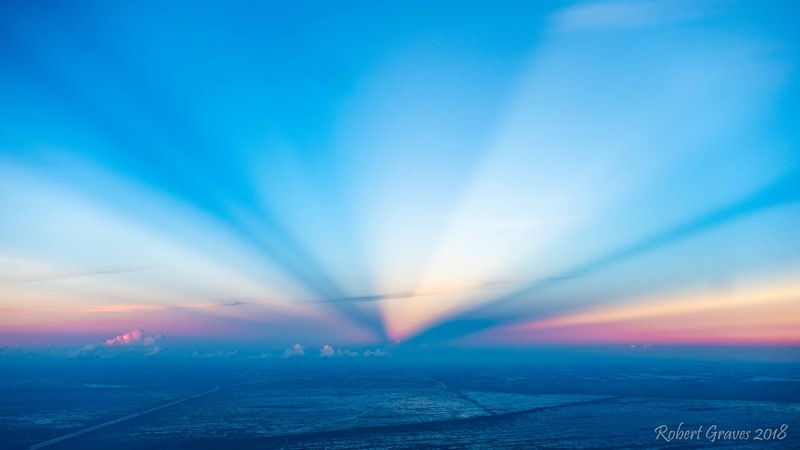 Data from a flight tracking and reporting system known as ADS-B show highly unstable vertical velocity and airspeed readouts which were similar to the airspeed and altitude excursions of the Lion Air mishap aircraft. Unconfirmed reports from listeners on the frequency reported that the Ethiopian pilots stated that they had unreliable airspeed indications and were declaring an emergency. And right now, that's it. There are similarities, but no confirmation that the same system brought down both aircraft. Given that we know little about the cause of the first accident and nothing about the cause of the second, a grounding of this model aircraft is premature. I am qualified and current in this model aircraft and am confident that it is as safe as any aircraft flying. Airplanes sometimes crash. It is always a tragedy when they do, but barring a definitive indictment of the design, there is no reason to overreact. Even should the MCAS system be found primarily at fault, the system can be completely deactivated by two easily reached switches on the center console of the cockpit. Why the Lion Air pilots didn't take this action is unknown, but the investigation should eventually reveal the cause. A similar malfunction occurred on a previous flight of the mishap aircraft, and those pilots took the correct action and landed uneventfully. Questions as to why the aircraft flew again without being properly repaired should be asked. In the event of unreliable airspeed, which can happen to any aircraft independent of model, routine practice of this malfunction in the simulator should make it a non-event. I recently underwent this training myself, but the basics of pitch and power date back to Wilbur and Orville. Recognition is the toughest part, but after that, known pitch and power settings will keep the aircraft from stalling and in control. I don't mention these questions to cast blame, but rather to answer critics who don't understand aviation or engage in magical thinking. The Max is still a 737 at heart and flies nearly identically to the other four models of the aircraft that I have flown. So yes, it is safe, and I'd gladly put my family on one and fly it myself with no reservations. 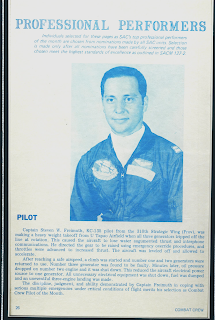 The following is my recollection of the events that occurred during a takeoff and flight on a September day in 1973 while flying out of U-Tapao Royal Thai Navy Airfield (UT) in Thailand. This was after the war was over. But we were still flying missions to maintain the peace. While these events happened over forty-five years ago, most of them were so etched in my mind, that I can still recall them as if it were yesterday. I am finally following up on my years of “intentions” and reducing this to paper as a result attending two Arc Light / Young Tiger reunions. It was there I met Tommy Towery and acquired the many “We Were Crew Dogs” books which he edited. He wondered why a KC-135 pilot would be interested in reading these short stories mostly about B-52 crew experiences. Well, I learned a lot more of the bigger picture in SEA (Southeast Asia) and stateside. Often we were so busy in our own activities, and in accordance with SAC’s (Strategic Air Command) “need to know” policies, that we (I) didn’t know much about the details of the roles of my fellow airmen. And our shared suffering. But more of that in another article. I have chosen to use “full width” paragraphs to write the sequence of events as they occurred and what my thoughts were at that moment. I have included “indented sections” to further explain various aircraft and performance details. This is to assist the reader who isn’t as familiar with them to gain a better understanding of both what was going through my mind and happening to the aircraft. Thus, read just the expanded text to get a blow by blow description. The KC-135 Stratotanker, produced between the years of 1956 and 1965, was a derivative of Boeing's test bed aircraft, the 367-80. From this early test aircraft, both the KC-135 and 707 were derived which is why the KC-135 has a strong resemblance to the 707, though the tanker was smaller and lighter. Still, the tanker could carry 135,000 lbs of fuel and weighed in at just under 300,000 lbs fully loaded. Part of the impetus for the Air Force to acquire this aircraft was the cold war. The nuclear arms race was in full swing in the late '50s and the Air Force wanted to have a tanker which could refuel its new intercontinental bomber, the B-52, to allow it to reach Russia. The old KC-97, a derivative of the WWII era B-29, just wasn't up to the task. In fact, because the angst of quickly fielding a nuclear deterrent was so high during that time, several compromises and shortcuts were made in the design of the KC-135 to get it operational faster. These were compromises which I came to despise acutely nearly thirty years later. The first compromise was the engines. Engine manufacturer Pratt and Whitney was working on a new engine design at the time known as the bypass fan engine. This new engine was to become the basis for all modern engines and was eventually used on the 707, but it just wasn't going to be ready in time for the tanker. So the KC-135 was outfitted with older engines which incorporated a technology known as water injection to produce enough thrust. Yes, you heard that right...they pumped water into the engine. Without getting too detailed, high pressure pumps injected water into the engines during takeoff which increased thrust by means of an increased mass flow rate. Still, the airplane was grossly underpowered. While the airplane did usually get airborne, it would take most of the runway to do so when heavy. I have seen the departure end of the runway coming under the nose during rotation more times than I care to remember. To give you an idea of how puny the engines were, the CFM-56 engines fitted on a 737 today produce about 34,000 lbs of thrust while the tanker's original P&W J-57s produced a mere 12,000 lbs. Due to its underpowered nature, the aircraft gathered unflattering monikers such as "The Silver Sow" or "The Steam Jet". My personal favorite was "Strato-Bladder" for the bladder type fuel cells in the body tanks. The KC-135A was eventually re-engined in the 1980s with those same CFM engines and was redesignated the KC-135R. The new "R" models are quite sporty now and even hold some time to climb records for transport category aircraft. This first compromise of using water injected engines led to the compromise which I came to hate the most. To feed the water injection system, a water tank was needed. Since most of the body of the aircraft where cargo bins are on a normal plane were taken up with fuel tanks, a decision was made to remove one of the two air conditioning units, or packs. This meant that the airplane was hot, and I don't mean hot as in cool, but rather hot as in fetid. I was stationed in Okinawa, remember, which is in a subtropical climate zone. This means warm and damp winters followed by hot and damp summers. The lack of A/C on the aircraft was most pronounced when flying hour after hour of "transition" training, or touch and go practice. It wasn't uncommon to get off the airplane soaking wet. Boeing didn't even have the courtesy to install an air vent to blow on the pilots' faces. The air outlets were under the seat where what little cool air that did emanate did no one any good at all. As I flew the airplane in the early 80s, it had undergone a number of technology updates to its original systems but many vestiges of older technology were still on board. We still had a navigator assigned to the crew, but he had at his disposal an inertial navigation system, or INS which made his job more or less obsolete. Airliners were crossing oceans then with similar systems which had their accuracy measured in yards while GPS was still on the design table. The aircraft also had, however, a sextant and an overhead port with which to view the stars. Celestial navigation dates back to the time of Magellan and was the reason the navigators were still on board. Remember, this aircraft was designed to fight a nuclear war and at the time it was thought that a nuclear detonation might render all electronics useless. Therefore, the navigator was trained to use the ancient technology of celestial navigation with a sextant to determine our course while flying to nuclear armageddon. My one regret is never having had our nav teach me how to shoot the stars with the sextant. Over-water communications were also rather dated. While we had a high frequency or HF radio which could bounce signals long distances, ours was an old tube-type radio requiring a warmup and without a squelch control. This meant maintaining a "listening watch" on air traffic control frequencies which were always full of static, whistles and pops. Of course this was a copilot duty. When the air traffic frequencies became too unusable, I might have inadvertently tuned the radio to an awesome rock station beamed out of Saipan. The standard for overseas communications is through the use of satellites today. As I mentioned above, the airplane was underpowered. This meant that it had to be flown very smoothly and deliberately when it was heavy, which was most of the time. There were restrictions on the angle of bank that one could use after takeoff for instance, and multiple warnings concerning what to do or not do should an engine fail on takeoff. And, as an additional piece of information for the B-52 crew members reading this, I have gleaned, your maximum takeoff weight was about 488,000 lbs. From what I have read in “We Were Crew Dogs” the maximum weight at UT was about 454,000 lbs. (with twice the engines and water). Half of that weight would be 227,000 lbs. My takeoff weight in the follow story was about 262,000 lbs. The base weight of a 135 was between 105,000 and 107,000. As a final comment before I start my tale, there was a saying in SAC: “If someone could construct a runway that would actually encircle the entire earth, SAC would could come up with a mission plan that would use every inch of it”. This was to be our second flight of the day. We were assigned to fly a KC-135A, tail number 59-1475, using a water takeoff with a max fuel load of 156,000 pounds on runway 18. THE RUNWAY: Runway 18 is a 11,500-foot runway that ends with the overrun (or approach portion (when landing to the north on 36) followed by a sandy beach and the Gulf of Thailand. Normal departure after takeoff is to the north. WATER TAKEOFF AND JET ENGINES: The KC-135A aircraft had four J-57 jet engines. These engines were not turbofan jets In order to provide more thrust for takeoff, a 670 gallon tank of water was installed in the belly of the plane. Electrically driven pumps furnished approximately 80 gallons per minute to each engine. Accordingly, we normally had about two minutes of water before run out. This increased the mass flow through the engines providing substantially more thrust. Each engine (dry) should be able to provide a maximum of about 12,845 lbs. of thrust within a temperature range of -65 to 5 degrees. The dry thrust would diminish substantially as the temperature rose above 5 degrees. Water (wet takeoff) should be able to provide a maximum of about 12,925 lbs. within the 20 to 100 degree range. GENERATOR LOADS: Three of the engines had generators to provide electricity while no. 4 had a cartridge start system in its place. All the normal aircraft electrical loads could be met from the output of only one generator. According to the charts, it would use about 94% of the rated capacity of a one generator during the highest usage period of a mission - except a wet takeoff. The water injection pumps, that were needed for the critical two minute period, consumed about 100% of the capacity of a generator. Thus, during a wet takeoff, about 175% of the available output of one generator was consumed with three available. Safety and redundancy had been built in. MAX FUEL LOAD: According to the charts, the maximum fuel load (capacity) is 202,800 lbs. for aircraft with an upper deck aft fuel tank installed. However, I recall that at UT, the max load was 156,000. This lower load was the maximum that we could get airborne given the runway length and warm temperatures. The Form 781 maintenance log indicated that this was the first flight for this aircraft after going through “corrosion control”. I didn’t know what that was and believe the crew chief said something about “taking the aircraft apart, looking for corrosion, and then putting it back together”. I thought about a FSAGA (first sortie after ground alert). I also need to insert at some point that at a safety briefing, probably within the prior week or so, there was a 135 out of Grand Forks or Minot that kept popping circuit breakers during a flight. The crew continued resetting them several times and they continued to trip. The crew found an electrical fire. As we waited on maintenance, I believe at some point we may have decided to continue to complete a few of the items left in the Interior Inspection checklist that we could do without Ground i.e. altimeters check, etc. And we waited on the ramp in the afternoon sun (usually between 84 and 88 degrees). Think of sitting in an auto in this position with two windows open while wearing a Nomex (a non-breathing plastic bag that provided fire protection) flight suit. Because of this, we delayed putting on the SAC required inflatable life jackets that were to be worn on all overwater takeoffs. Maintenance must have had problems finding the appropriate SAC specified hammer as start engine time (30 minutes before scheduled takeoff time?) came and went. I believe it was between ten and fifteen minutes before takeoff time that maintenance finished “fixing” the problem. At this point I should point out to those unfamiliar with this fact that takeoff times are important in SAC, almost sacred. My recollection is that the scheduled time plus up to five minutes was okay. I never knew if it went all the way up to those under CINCSAC but at least I had been told that everyone at UT got a black mark after their name when there was a late takeoff. And, as was the custom, one “awe sh*t” wipes out 10,000 at-a-boys. As a SAC trained professional - and a person whose Mother taught him to “do the right thing”- my crew and I finished the Interior Inspection checklist, and began the Starting Engines and Before Taxiing checklist, and Before Takeoff checklist in record time. While switches were being thrown and settings made, clearance was requested for taxiing. I started to taxi as soon as clearance was given. My co-pilot started the Before Takeoff checklist while we were taxiing. We continued to run the checklists, throw switches, verify systems, and adjust settings. Now there is a saying in SAC that there is only one thing worse than having a taxiing accident, that is living through it. While well aware of that, I must admit that I made a “high speed” taxi. In fact, a very high-speed taxi. I think it was about four times faster than I had ever taxied before or since for scheduled flights. Probably twice as fast as an alert taxi exercise. I thought we might skid around the corners as we headed to the runway. But I was going to make an on-time take off if at all possible. As we approached the hammer head we called and received takeoff clearance. No stopping before taking the active. As we turned to the runway heading of 18, I brought the throttles back and my Co started the water injection. I believe my Nav called that we crossed the threshold between four and five minutes after our scheduled takeoff time. My crew had saved the day! As I advance the throttles, water kicked in and we were off. Air speed slowly increased as we rumbled down the runway. S1 was called as our takeoff continued. S1 is a calculated speed (V1 to the rest of the world) where if you encounter a major problem prior to reaching, you can abort and stop within the remaining runway length. Then, just at the start of rotation, the aircraft became very quiet. At least very quiet for a KC-135A making a water takeoff. Water takeoff’s noise was about 126 decibels. Within a fraction of second later, the boom was out of his seat and standing between the pilot’s and co-pilot’s seats with his hands on each of our head rests. “Generators!” I looked up and saw all three had tripped off line. Later, I found the Nav had attempted to make a similar call but he had crushed his mic switch attached to his flight suit with an alligator clip. It is a crew duty for the Nav and Boom to monitor the generators on takeoff as the panel is overhead between the pilots. At this moment in my life, everything slowed and every sense was at its keenest. My first thought was that there was no way this aircraft would fly. I thought the loss of water was about the same as losing one and a half engines while making a heavy weight takeoff. Next, did we have a fire on board that caused the loss of electrical? At that moment, I caught a glimpse of my Mae West life jacket on the floor next to the center control column out of the corner of my eye. In the rush to complete the checklists following the maintenance delay, I hadn’t put mine on for the very first time. I will accept that glimpse as Divine intervention. Here I was about to crash a 263,000 pound aircraft into the Gulf of Thailand and I didn’t have my life jacket on. We’re going to fly!! How to do that? Throttles, I reached over and firewalled them. Normal takeoff procedures required the pilot to keep his left hand on the nose gear steering wheel (until about 90 KIAS), advance the throttles with his right hand to about takeoff EPR (engine pressure ratio) and then return his right hand to the yoke. The co-pilot would follow the advance of the throttles with his left hand and fine tune them to about 2.85 EPR. Takeoff thrust was determined by the EPR setting. This was normally reached with a 94-98% RPM. According to the Dash 1, the overspeed limit of 102% RPM should not be exceeded at any time. If an engine overspeeds between 102-104% consideration should be given to operating on reduced power and shutting down the engine as soon as safety of crew and airplane permits. If an overspeed exceeding 104% occurs, the danger of complete engine failure is more imminent. The normal runway distance from the start of rotation to unstick is about 1,000 feet. I then tapped my Co’s hand that was on the throttles. No electrical, no intercom! He knew to check the RPM and pull them back if we were over 102%. We were mushing through the air, over the overrun, sandy beach and then the water. To this day, I believe it was the ground effect that kept us in the air. Next, gear! Normally the flying pilot calls over the intercom for the other pilot to raise the gear. No intercom. I immediately reached for the gear handle. It wouldn’t come up! We must have a hanging truck. If I raise the gear using emergency override procedures, the gear will come up. I will most likely lose all hydraulics as the gear will rip out all the hydraulic lines that are routed through the wheel wells for maintenance purposes. The gear will be jammed in the wheel wells and may not come down. I can worry about landing later, I need to fly now. I pulled the emergency override trigger. The handle and the gear went up. No loud crunching sounds. The KC-135 has two main landing gear and a nose gear. Each main gear has four tires, two forward and two aft. These four tires are mounted in an assembly called a truck. Each truck has actuators that level each truck after becoming airborne. If a truck is not level, it is referred to as a hanging truck. Raising the gear with a hanging truck using the 3,025 psi hydraulic pressure will cause the gear to be retracted. Wheel well damage may result from emergency retraction if the main gear trucks are not level, the oleos are not sufficiently extended, or the nose gear is not centered. According to a chart I just reviewed, the takeoff four engine maximum climb rate at sea level was 1,290 fpm and the three engine rate was 580 fpm. The emergency procedures section of the Dash 1 states that gear drag lowers the rate of climb approximately 300 fpm at takeoff with flaps down. An engine failure decreases the rate of climb approximately an additional 900 fpm. The opening of the gear doors reduces the rate of climb even more while the gear is being raised. According to this, 300 fpm plus 900 fpm equals 1,200 fpm reduction without considering the door effect. A chart amount of 90 fpm does not provide a lot of flight cushion. Paper calculations have never provided an iota of actual lift or thrust. And we had lost water, even worse in my mind than an engine. The later modifications to the KC-135R designation provided a maximum climb rate of 5,000 fpm even after considering the allowable increase in aircraft and fuel weights. While doing these procedures, I was looking out my window. (No flight director system – no electrical power.) I saw a Thai fishing boat. It was a small boat with a tiny cabin leading below deck. As we were about to fly over it, I saw the captain coming up from below deck with a white bucket full of something. He looked into my eyes and I saw the whites of his. (Maybe you B-52 types are used to this low-level flying, this was a first for me.) His bucket went up as he dove back down below deck. Flaps! With the gear up we were beginning to gain airspeed. I reached over and raised the flaps. On one of the two gauges that monitored the inboard and out board flap position (one gauge and for the inboards, a second gauge for the out boards), both needles went from about the three o’clock position to the twelve o’clock position. On the other gauge, one needle went to twelve, the other to nine o’clock. Asymmetrical flaps! Brace for the rolling motion! No roll detected, bad gauge? Asymmetrical flaps is a condition where the flaps do not retract or extend at the same rate. This difference has the same effect as imputing a “turn” using the ailerons via the yoke. This is extremely dangerous when at very low altitudes. A bank angle of 30 degrees at climbout speed with flaps down could reduce climb capability by as much as 400 fpm. As speed decreases, the effect becomes more severe, particularly in the clean configuration. Assess your flight condition. Gear up, flaps up, somewhere between 1,000 and 2,000 feet AGL and accelerating to over 200 KIAS. Okay, now what. Declare an emergency. Battery switch emergency. Listen to the UHF radio “click” as it cycles and tries to lock on the preset frequency. Not enough power in the battery to lock on a frequency. Go to “guard” position on the radio. Still not enough power to lock on. Dead battery. The UHF radios had preset frequencies for items like ground control, tower, command post, etc. To change from one preset to another you would rotate a dial with numbers, similar to an old-fashioned TV dial. Guard was an emergency frequency that could be both monitored and transmitted on. Shout at the Co to try and get some generators on line. He successfully gets number 1 and 2 on line and mated to the bus. Number 3 is toast. This provides power to all the equipment. Get a TACAN DME (distance measuring equipment) lock at about 12 miles. That is a long way to swim! (Even for a Minnesotan used to 10,000 lakes). “This is _____ declaring an emergency in a left turn to 360 at 2,000 feet”. So here we are rolling out on a 360 heading and describing to the Command Post the nature of our emergency. About this point I told the Boom and Nav to go back in the plane and see if we had a fire, etc. They reported no issues. When we got back even with the base and are down wind, the Command Post asks me what is our current condition. “Gear up, flaps up, two generators on line”. “Roger”, is the response, “that is a go condition”. I didn’t tell them my legs were shaking on the rudder pedals. I don’t think that would have changed their opinion. I was thinking “land, go to bar”. We are now north of the base climbing through 8,000. My number two engine oil pressure gauge starts to fluctuate and soon goes to zero. Because more engines in the 135 were apparently shut down because of faulty oil gauges than actual loss of oil pressure, the fleet was in the process of being modified with a second low pressure sensor and indicator, a red warning light. This aircraft had been modified. And the number two oil light was illuminated. Time to shut down number two engine. Must have blown an engine seal after going to increase thrust. “Command Post, this is _____, declaring an emergency.” A short pause. “Roger ____, didn’t you just terminate your emergency?” “That’s a roger but now we are declaring a new one.” And in addition to shutting down the engine, it caused us to lose a good generator. We were down to one generator. We are given clearance to dump fuel and return to land. But, as I earlier mentioned, my Mother taught me to do the right thing. Two things would have been wrong if we just hit the dump switch. First, the JP-4 fuel we would dump, about 60,000 pounds (or about 9,230 gallons) to get down to maximum landing weight for braking limit purposes, would not evaporate prior to returning to earth. There would be a whole lot of rice paddies covered with a film (or more) of JP-4. Second, if we dump fuel with the boom up and in trail, fuel gets into the tail assembly and it needs to be cleaned somehow. So I requested clearance to 21,000 feet. After being granted, we start the slow, wallowing struggle to climb to that altitude. It takes quite a while to get there but we finally make it. “Boom, go back and lower the boom so we can dump”. I soon get a call back over the intercom. “Pilot, I am having control problems with the boom. One of the ruddervators isn’t working. We may have to land with the boom in trail”. About this point in the flight, I am beginning to have doubts as to the air worthiness of this plane. And more specifically, what’s next. Systems just don’t seem to be functioning as designed. But we successfully dump the fuel and the Boom is able to get it up and locked. We now begin our decent. We lower the gear handle and the gear comes down. Again, I send the Nav and Boom back to check the visual down and locked stripes that can be seen from inside the cargo area. I speculated that the gear wouldn’t come up, not because of a hanging truck, but rather to the fact that we must have lost electrical power while we still had the “weight on wheels” (WOW) safety interlock switch in the “on ground” position. That prevents the gear handle from being raised using normal procedures. Next, the flaps are lowered. They extend without an issue. It was a faulty gauge. This is followed by a successful three engine landing. We then had to endure a longer than usual maintenance debriefing. I can’t recall if any of the above qualified for a “red X” in the 781. But we did make a few entries. Someone brought to our attention that maintenance was aware of a circuit board defect that could cause a generator to trip offline. If this board experienced a vibration equivalent to that of slamming a fist on a table, it could trip a generator. Because of the location of this board, they were replacing them only when an engine was required to be replaced. I believe all further recollections of comments made would be censored. For the next week or so, every evening after a flight we would be in our trailer and my co-pilot would go into the performance charts and say “it shouldn’t have flown!”. This was very unsettling to my five-month pregnant wife, Melanie, who I had brought over for about six weeks. She was staying at the Swan Lake Hotel but came to our trailer during the day time. She found more to do on base as she waited for us to return from flights. Since the war was over, I wanted to share with her some adventures in Thailand that I had on my prior two TDY’s. This was NOT one of them I planned on sharing with her. She did gain a greater appreciation for the risks any airman encounters when they “slip the surly bonds”. 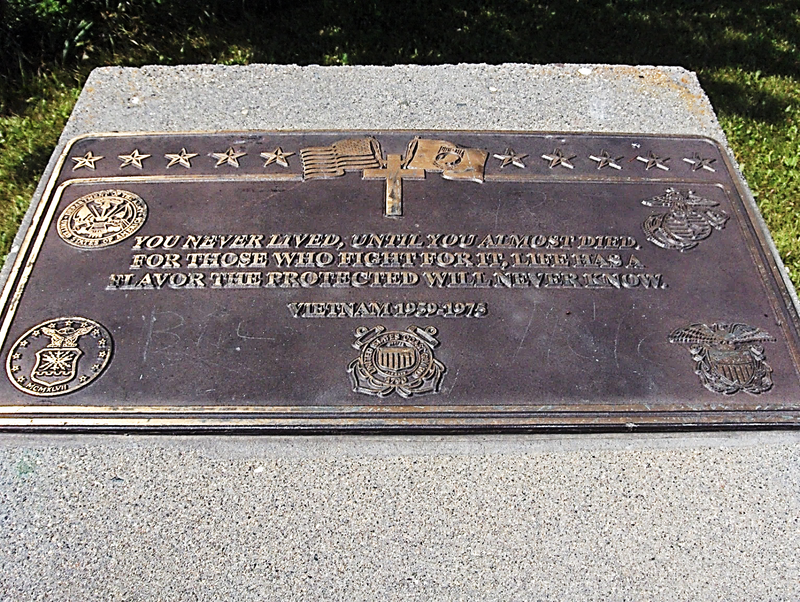 My Co did buy me a nice lobster dinner at Camp Samae San (the Thai Marine Corps Base with US Army units adjacent to UT) with a deep-water port. I believe the fuel and weapons for the UT aircraft came through this unit. It was my first and only trip to their O Club, but what a club! Real linen table cloths and napkins, real (non-plastic) silverware including salad and desert forks, real glass glasses, candle lamps on the tables, waiters, etc. It was as good or better than any restaurant in Bangkok. And twelve lobster tails. Okay, they were one ounce each but tasted wonderful. And all paid for by my co-pilot because - even though I didn’t follow SAC policy for over water takeoffs; and whether through luck, skill or Divine intervention - I was at the controls and now we were able to eat the lobsters rather than them eating us. Shortly after my return to Ellsworth, I put in my paperwork for a January separation. The war was over, I heard rumors of a RIF (reduction in force), and recalled the two to three weeks of pulling Alert (with the possibility of only one to a max of three flights) a month that seem to happen whenever I was back stateside. I don’t believe I was notified of the above citation that appeared in the December 1973 issue of SAC Combat Crew magazine until it was sent to me by my former squadron commander several months after my separation. What Do You Want from an Airline Career as a Pilot? I'm getting to the end of my airline career. Oh, I'm not quite there yet, but I am close to the final turn and the PAPIs will soon be in sight. The FAA mandated retirement age is currently 65, and I'll be turning 60 next year. The retirement age was adjusted from 60 to 65 in 2007 and there are rumors that as the pilot shortage worsens, industry lobbyists will push to have the age adjusted to something like 67. Either way, I don't see myself schlepping my rollaboard through the southside 'hood to the crash pad into my dotage. 65 will be it for me assuming I pass a medical until then. People often ask why I don't retire now. These are usually pilots junior to me, but it's a fair question. The reason I give is that the airline is a great part-time job. I generally fly only three days a week and rarely pick up flying. And if I wasn't flying, I'd probably just find a local cigar bar or doctor's waiting room to spend time chatting up other retirees on how good the old days were or how the darn kids are screwing everything up. So with (much) more of my flying career behind rather than in front of me, I am able to look back and assess how things have turned out, and perhaps to give some perspective or advice to those who might be just starting out. Without a doubt, I have had a blessed and charmed flying career. Starting in 1982 as a second lieutenant in the Air Force, and having never touched an airplane, I've spent every year since then at the controls of a jet aircraft. Hired by my airline at age 30, I found myself in the left seat of a 737 four years to the month of being hired. I now find myself close to the top ten in the seniority list in my domicile. With about 600 captains below me, this means I usually get the schedule I want assuming the company publishes it and Charlie C. doesn't take the line I want. C'mon Charlie, retire already! There are some things, though, that I won't get to do. I won't ever be a widebody captain because my airline doesn't fly them. That means that I won't get to enjoy the over-water widebody lifestyle of 30 hour layovers touring in some exotic foreign locale or on a white sand beach. I also won't get the downside of back side of the clock flying nor the several day recovery period adjusting back to local time. (I did spend over a decade flying jumbos for Uncle Sam so I have that t-shirt.) Tradeoff? That depends on what you're looking for. Which is the Best Airline to Work For? This question gets asked quite often, and I've always maintained that the best airline is the one that hires you. But beyond that pithy answer, the best airline will be the one that gives you the things you value the most; the things you want out of a flying career. That answer will necessarily be different for just about everyone. Do you want to upgrade to captain quickly? At all? Is widebody flying on your list? Where will you make the most money? Does money matter, or is job security more important? If your spouse is a surgeon or other professional, maybe job security isn't as much of a concern. If you are the sole breadwinner, perhaps it's higher on the list. Where do you want to live? Does your chosen airline have a domicile there or are you willing to commute? Do you want to be home when your kids are awake? How about being able to bid vacation when they're on summer break? All these are questions that you have to ask yourself, and many times you may not get a choice, but end up taking what is offered. If another offer comes along you'll then have a choice. Leaving an airline that hired you for another is a tough call, but it only gets tougher as you gain seniority. I've flown with profoundly unhappy pilots who wish that they'd jumped early on in their career but are not willing to give up the seniority they have to start again. This is a bit of the "sunk costs" fallacy, but you are only issued one life and have to make the most of it. I also flew with a young pilot some years ago who, at the end of our month together, announced that he was quitting to go to another carrier. He was a senior first officer looking at a captain class in a few months. He didn't dislike where he was, but rather was entranced by the thought of flying widebodies for another airline. In fact, he said that the toughest part about leaving was he really did like the people where he was. That was in the spring of 2001. After 9/11 he was quickly furloughed by his new airline and probably spent years getting back into a cockpit. Was it worth it for him? We lost contact, so I don't know. Perhaps. Will there be another lost decade like the one that followed 9/11? Which airlines are best positioned to weather another storm like that? I started looking for an airline job after leaving the active duty Air Force with just north of 2500 total hours, all of it in jet aircraft. I applied to all the major passenger and cargo airlines and a few of the minor ones. I got a job offer from only one, a minor regional airline, and the one with which I'm still employed nearly 30 years later. Shortly after being hired in the early 90s, there was a mideast war and a bit of a recession. Most of the airlines with which I'd interviewed quickly started furloughing pilots, including many pilots I knew. Taking a job with a guard or reserve unit was considered furlough insurance so that's what I did as well. I never had to use that insurance policy, but knew many who did. The quickest way to gain seniority is to find an airline with either lots of upcoming retirements, or lots of growth. My airline had virtually none of the former but lots of the latter. This allowed for a very fast four year upgrade to captain. It was, though, the last formal schoolhouse course I would take. Even though my pay rate was not quite as good at times as some other major airlines, the time value of making that money for longer more than made up the gap. As a general rule, widebody first officer pay is roughly equivalent to narrow body captain pay, so when comparing airlines, look at your time to either widebody first officer or narrow body captain. Consider also in your choice schedule flexibility and the ability to pick up flying. This varies greatly between airlines, but can significantly enhance your quality of life and pay. I don't pick up much flying, but we have some enterprising pilots who can routinely top 150 hours of monthly pay by working their schedules and taking advantage of premium pay rules. It is difficult to convey the disaster in the commercial aviation community in the years following 9/11, unless, of course, you lived through it. Then you know all too well of the furloughs, bankruptcies, career stagnations and reversals that were emblematic of that dark time. It was also the time when mainline contract loopholes were exploited allowing an explosion of regional jet flying with pay so low that some pilots qualified for food stamp programs. My airline was relatively unscathed by the carnage of that time, so while job security wasn't a huge concern, there were no significant raises coming either. A comparison with my wife's career is instructive here. She took a job with a major airline shortly after I got hired at my airline. For a short while prior to 9/11, she outearned me in the right seat of a 75/767 by a significant amount. That didn't last. A few short years later, while she was in the right seat of a 747, I outearned not only her, but also the captains with which she was flying. Her line guarantee had also been slashed to the low 60s after the bankruptcy while my guarantee was at 85 hours, but my line flying was almost always above that number. The tear in the fabric of universe has mostly healed since then, and our pay is roughly equivalent again with her holding down a senior 777 F/O seat. She'll lap me in pay once she takes a widebody left seat which is almost attainable for her, but it will be back to working weekends and holidays for awhile albeit for a lot more money. It will be her first left seat job after 25+ years of commercial flying. Who won? That's a tough call. I'm jealous of her 30 hr HKG layovers and license with type ratings of all the Boeings save for the 717 and 787. 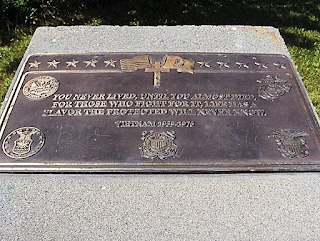 We sure were thankful, though, to not have to worry about a furlough or bankruptcy after 9/11. I've also never flown a redeye from SFO to EWR for an eight hour layover, or any redeye for that matter. Twenty five years in the left seat of a Boeing has to count for something as well. Judging by the 401s (she lost her pension with the bankruptcy of her airline) the money will probably end up being close to equal. As I mentioned at the start of this essay, I've had a charmed aviation career. I'd like to say I was smart about it all, but plain dumb luck probably played a larger part than I'd like to admit. That said, if you're just starting out, take a few moments of serious reflection to decide what is most important to you, and then make your decision of how to structure your career. Good luck! I'm here for you.